It’s time for the best sale of the year! Nordstrom’s Anniversary sale is arriving on July 14th! Before you tune me out and think I’m totally crazy to get this excited over a sale, let me explain exactly why this one is the best. 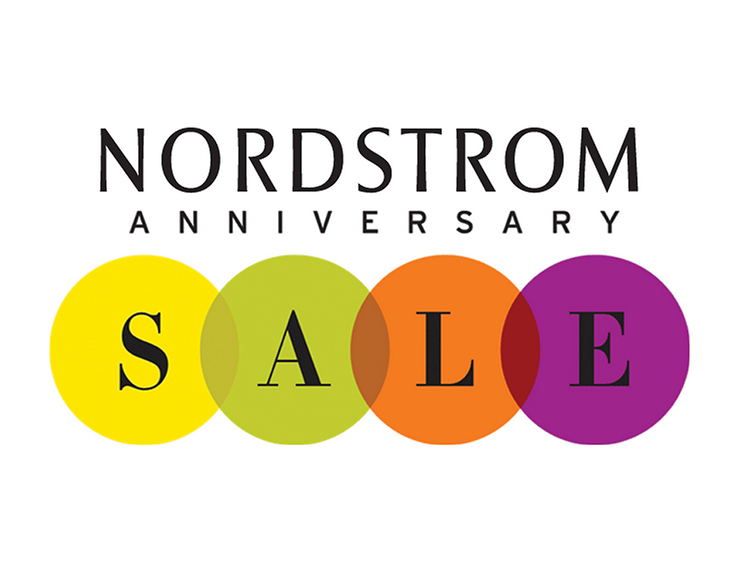 Nordstrom’s Anniversary Sale works differently than any sale throughout the year because new, fall merchandise is featured at a discount before going up to full price on August 7th. These aren’t items that no one wanted and have made their sad journey to the sales racks. These are new designs that will be available in all sizes and colors so you can be walking out of the store with designer goodies for fall at a steep discount! Early access to the sale begins on July 14th and this is one sale where early access is very, very important. Most popular items sell out within the first few days of the sale and while some items will get returned because they didn’t quite work for someone, it’s a little risky if there’s something you just have to have. In order to gain early access, you must have a Nordstrom credit or debit card and though I’m not normally a huge advocate of having store credit cards, this one is more than worth it in my opinion! In addition to gaining early access to the sale, you’ll be able to earn notes (gift cards) towards future purchases, have an alterations budget and receive some of the best customer service. You can sign up here if you want to shop the sale with early access! The sale has a wide variety of things from basics to “treat yo’ self” items and it can be really easy to get distracted by the sheer volume of items in the sale. Before the catalog comes out or their sneak peak hits the website, I like to take a look at my closet and analyze what I really need. Last year was all about stocking up on cold weather clothes like sweaters because that was what was lacking in my closet after the move from Texas to Boston. I still plan on adding to my cold weather section of my closet this year, but I’m also in desperate need of some new denim! Once you figure our your wants and needs, make a list of them with the highest priority items at the top. Because items sell out fast, I suggest shopping online and searching by designer and item type for your top picks and purchasing those first. Shipping is always free, so don’t be afraid to have multiple orders! Once you’ve checked off all the top items from your list and there’s still room in your budget, look at items you like that may be out of your comfort zone. The sale is the time to try these items because if you end up liking it, you got an amazing deal on it, but if it turns out that it just doesn’t work for you, you can always return! If you have a Nordstrom store near you, I highly recommend popping in to check out the sale in person. It always seems like they have different stuff offered in store and it’s nice to be able to see and try-on the items before purchasing! You can also make an appointment with a personal shopper, which is a great option if you tend to get overwhelmed by sales and bigger crowds. But like I already said, if there is something you just have to have, I recommend hitting the website as soon as the sale launches in order to have the best chance of getting whatever it is your heart is set on! If you think you will like something, buy it. I am by no means encouraging you to go out of your budget or abuse Nordstrom’s amazing return policy, but I can’t tell you how many times I’ve gone back to buy something and it’s completely sold out in my size. The last thing I like to do before the sale starts is to think of birthdays, events and holidays coming up. Whether you like to have a few gifts on hand for last minute invites or you know someone’s birthday is coming up who is particularly hard to shop for, now is the time to think about buying for those kinds of occasions. They always have amazing candle sets that can be broken up into multiple hostess gifts and designer pieces are great birthday gifts for moms and grandmas! August 7th – Last day of the sale! Whether this is your first Anniversary Sale or you’re a seasoned shopper, I hope these tips are helpful in preparing for the best sale of the year! I’ll be pulling an college style all-nighter to prepare my top picks post for you, so be sure to check back on the first day of early access!